Keynesian Policies – A New Deal in the European Narrative: Employment, Equality and Sustainability has its intellectual roots in the Great Depression of the 1930s followed by the appearance of Keynesianism. The founder of Keynesian macroeconomics was the British economist John Maynard Keynes (1883-1946). His macroeconomics became a worldwide political economic approach, and made the social democratic welfare state model that has been coming up in Europe. In the US, the reform of Roosevelt’s New Deal came out of Keynesian thinking as a huge nation-building project. Keynesian economics served as the standard economic model in developed nations, creating the post-war economic expansion (1945–1973), though it lost some influence following the oil shock and resulting stagflation of the 1970s. The advent of the financial crisis of 2007–08 caused a resurgence in Keynesian thought, which continues as new Keynesian economics. The authors provide extensive analyses and examples of earlier and contemporary shifting pressure from external environments, showing how the Keynesianism ideology has been modified over time. 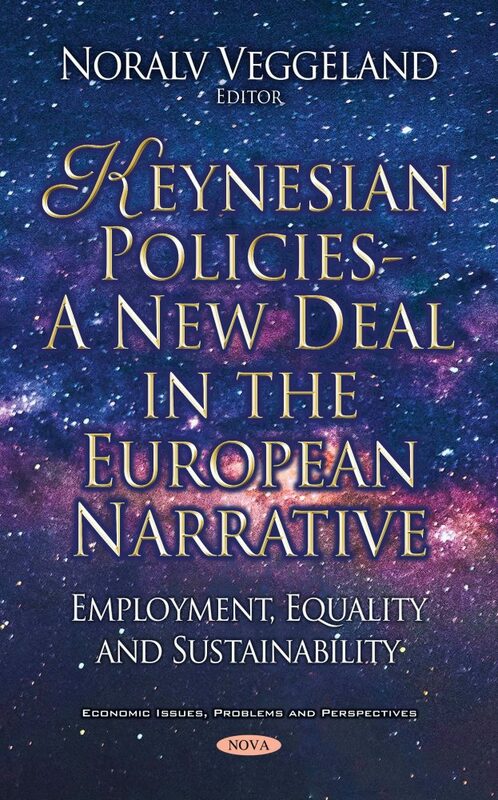 This book is a fascinating read for students and scholars of economic, social and sustainable policies. It will also be of great interest to civil servants and policymakers across the world. The book is a fascinating read for students and scholars of economic, social and sustainable policies. It will also be of great interest to civil servants and policymakers across the world.